When you look at an eBay auction and find that there are more than 100 people watching it, you know that you are either dealing with an item that is priced extraordinarily low, or you’re dealing with an item that is extremely desirable. 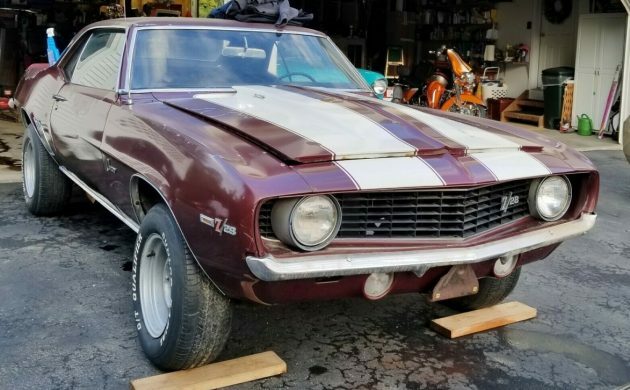 With 111 people watching the auction for this 1969 Camaro Z/28, I’m pretty sure that we’re dealing with the latter scenario. 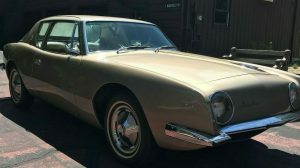 It is a restoration project that has stalled after a lot of the hard work has been completed, so it might be a great opportunity for someone to get their hands on a true classic. Located in East Aurora, New York, it is listed for sale here on eBay. The restoration on this Camaro commenced more than 20-years-ago. 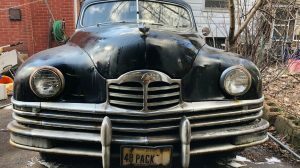 It appears to have been completed to a high standard, with all of the rusty metal removed from the car and replaced with NOS Chevrolet components. The car was painted, and essentially all that was left to do was install the engine…and that’s as far as it got. In the intervening 20 years nothing has happened, and now the paint has deteriorated to the point where it looks like it will require another repaint. Thankfully, it looks like the actual repair work has held up better than the paint, with the owner getting the quarters, fenders, and inner wheel housings replaced. As the ad reads, this is apparently a numbers-matching car, and the engine has done a lot less work than the rest of the car. The engine was removed over 40-years-ago and was replaced with a big-block. When the restoration was completed, the intention was to reinstall the original 302, but this never happened. The engine had been stripped and was found to be in good condition. It has only been reassembled for these photos, so it will require a rebuild. Backing the 302 is a Muncie M20 transmission, and a Posi rear end. As part of the restoration process, the car has been fitted with all new fuel lines and new factory wiring. 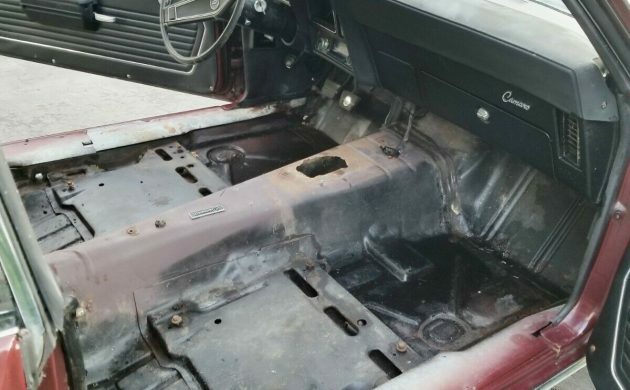 While to the restoration of the body was underway, the interior didn’t escape attention. It has undergone a complete restoration. Apart from the wheel, which is cracked, everything that could be restored or replaced has been, and apart from fitting the carpet, it’s ready to go. When I started writing this article there were 105 people watching the auction of this Z/28, and in that time, the number has grown to 111. There are obviously a few people who like the look of it, and that’s hardly surprising. With so much work completed, it’s a car that doesn’t appear to need mountains of work to get it back to its original state. The owner has set the opening bid at $38,000, but there have been no bids to date. It will be interesting to see if any of those 111 watchers will actually become bidders. I wonder what you do to a new paint job to make the clear coat peel off like that? Leave it out in the sun for 20 years? Perhaps pressure wash it and get a huge surprise when it dried? Probably some ‘environmentally friendly’ formulation that doesn’t work anywhere near as well as the original type. Like what happened on one of the Space Shuttles when some enviro-friendly foam tore loose and damaged the tiles of the heat shield. Not a Chevy guy here, but it seems like most of what’s done here was done wrong (clear coat paint job, NOM, etc.) But someone’s going to pay too much for it, and it will be for sale again in a year. One of the best colors they did! Don’t see them all the time. Judging by the looks of the back seat, the owner is BIG into safety. It’s got a 7 person back seat! More room than a large SUV! Looks legit. Solid floors. Trim Tag looks real. Nice color. Style Trim with spoilers. 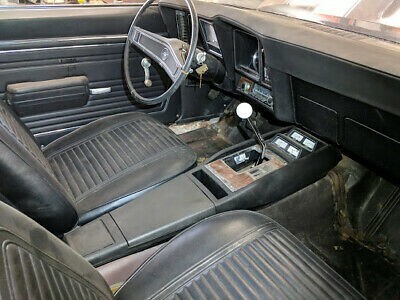 Standard interior. $38K seems pricey for a car that will require a complete restoration though. Hans has summed it up nicely. I’m just wondering why the seller isn’t finishing it up themselves. Grant also true, maybe the quality of the work scared them off. Love that maroon color on this. Will be interesting to see if somebody bites. Sure seems like a lot of coin but doesn have orig eng. Good luck to the new owner. – Engine stamping is legit. Trans stamping looks OK.
– Are the Carb, Distributor, Alternator original? These pieces alone can run over $4,000 if you want date-coded originals. – Pulleys. Does the car come with the original deep groove pulleys? Reproductions are OK, but original are pricey. – Does the car come with the original YH wheels? Wheels on the car appear to be 15″x 8″s not 15″ x 7″s. Original, dated coded YH wheels will set you back $1,000+. It’s now 181 watchers. 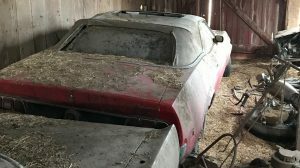 Is it me, or are we seeing lots of Z28’s on barn finds? I’m not complaining, just wondering how many are out there. 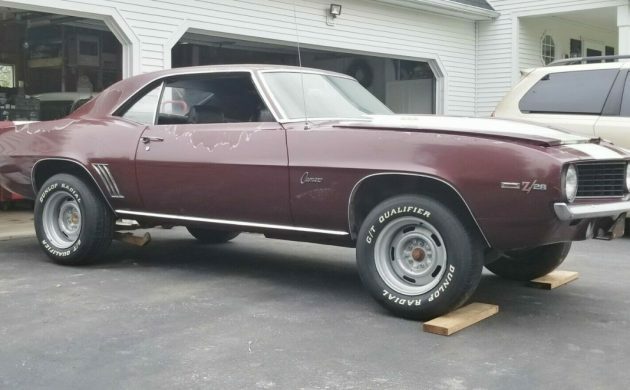 Well, GM built over 20,000 Z/28’s in ’69. Not really that rare of a car, but many were abused, engines blown-up, etc. So they are out there. I’d guess some thought they could restore the Z, but didn’t realize how expensive it really is to do a high-quality restoration that will get the Barrett-Jackson type $$. Not easy as I’m restoring a ’69 Z myself now and the expenses add up quickly! People are looking; but no ones bidding. $38K,shut the door and walk away,I’ll buy a Mopar or Ford. 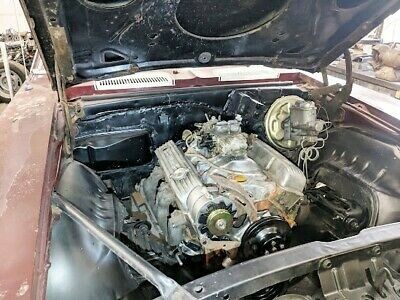 I don’t t know the value of this car but I do know eBay really well. Might not be this case but an observation. It looks like the real deal, but the price is a little high for what’s there. You’re buying a car that’s had a fair amount of body work and a paint job that didn’t hold up to zero use. That makes me question what’s under that paint since the same guy whose paint didn’t last likely also did the body work. Also you’re getting a car that hasn’t been driven since the 1970’s. I restored a “parked in 1976” 69 Z/28 in 1996/97. You just figure on all new brakes, suspension, tires, etc. That eats a lot of time and money. 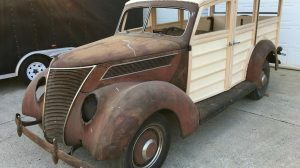 The seller is a restoration shop. There’s only one reason he’s selling it unfinished, that’s because the end result won’t be worth it if you pay $38K for it now. The only thing I see that isn’t correct is he says it has 3.55:1 rear end gears. Z/28’s came standard with 3.73:1 and 4.11:1 was optional. After I drove one with 4.11 gears 900 miles in a weekend I personally wouldn’t complain about the 3.55’s. I made that trip the next year but the car was on a trailer.